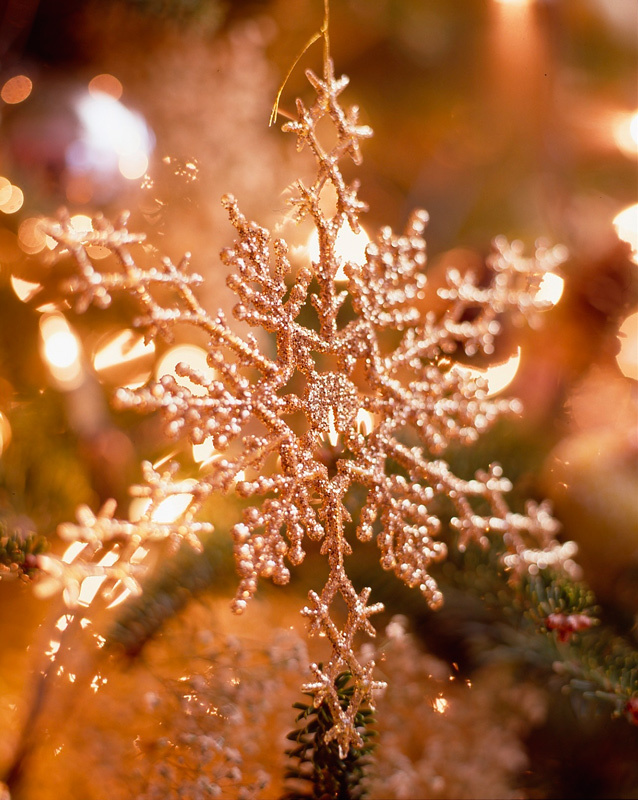 Not only do holiday ornaments add glitz and glam to trees, wreaths, and garlands, but many ornaments also have sentimental value, which makes decorating with them during this season extra special. 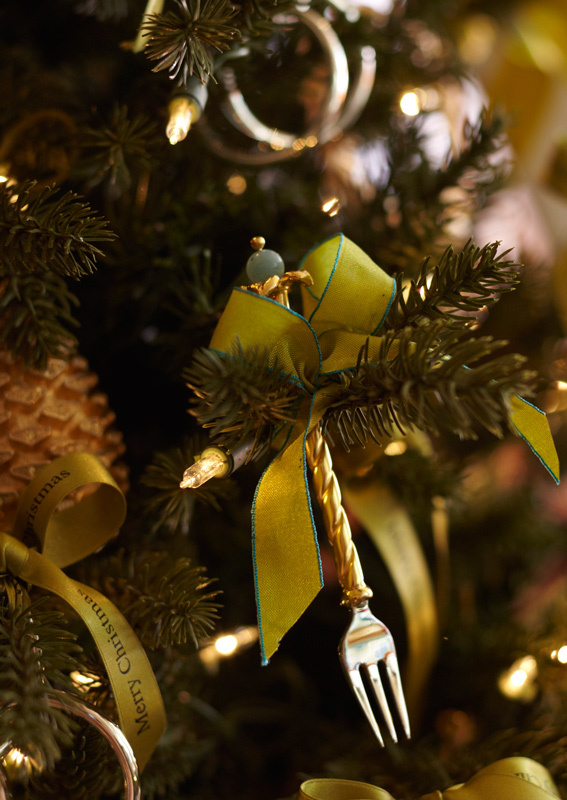 Whether they are hanging from a tree branch, arranged in a festive display, or simply out for show, we love the dazzle of holiday ornaments. 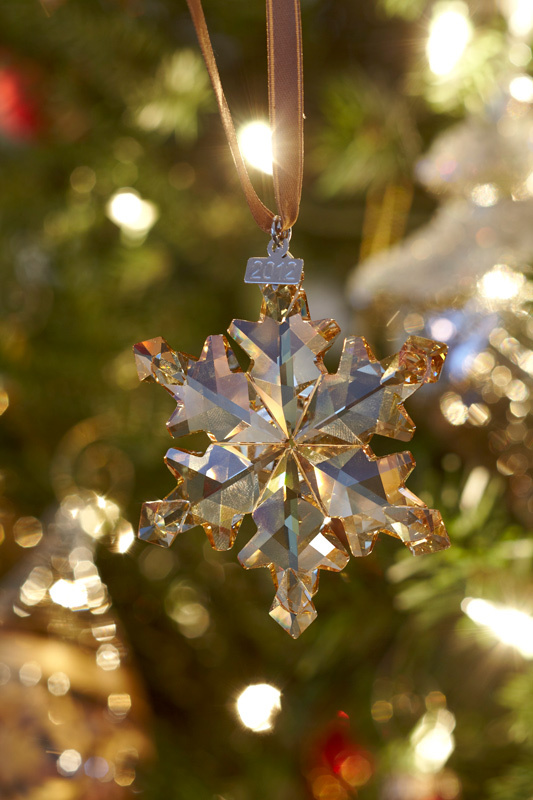 A dainty snowflake ornament has wintry appeal as it shimmers and shines. 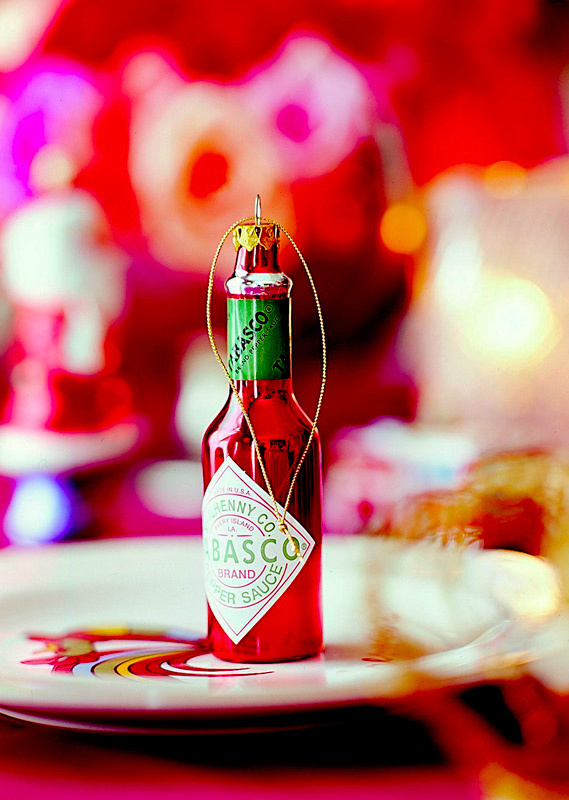 A Tabasco-bottle Christmas tree ornament spices up a traditional collection. 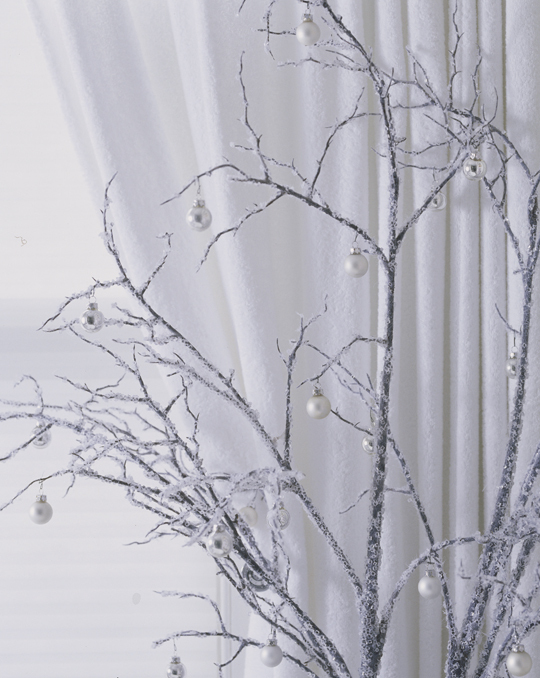 For a sleek, sophisticated look, spray branches white or silver and decorate with miniature balls. 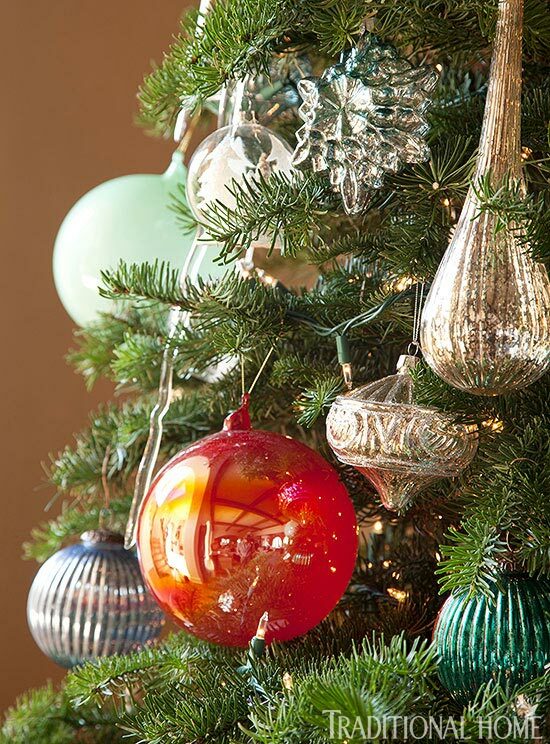 Position lights behind clear ornaments for extra twinkle. 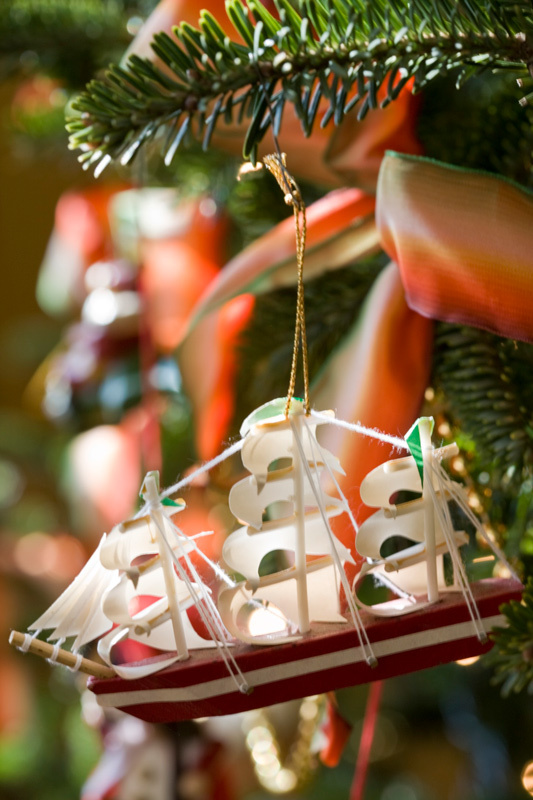 This miniature boat puts the sail in wassail. 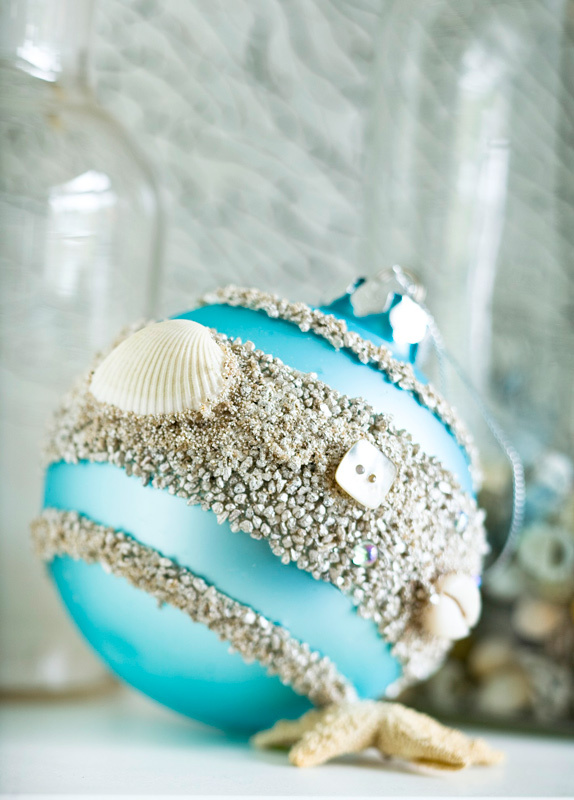 A pretty blue ornament embellished with shells and sand pays tribute to the beach, and is a fun crafting project. 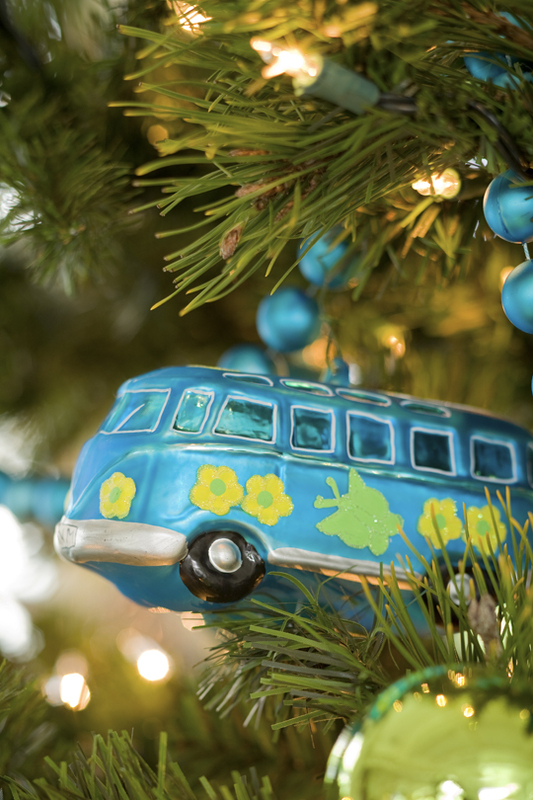 The V-Dub bus adds a fun touch to the tree. 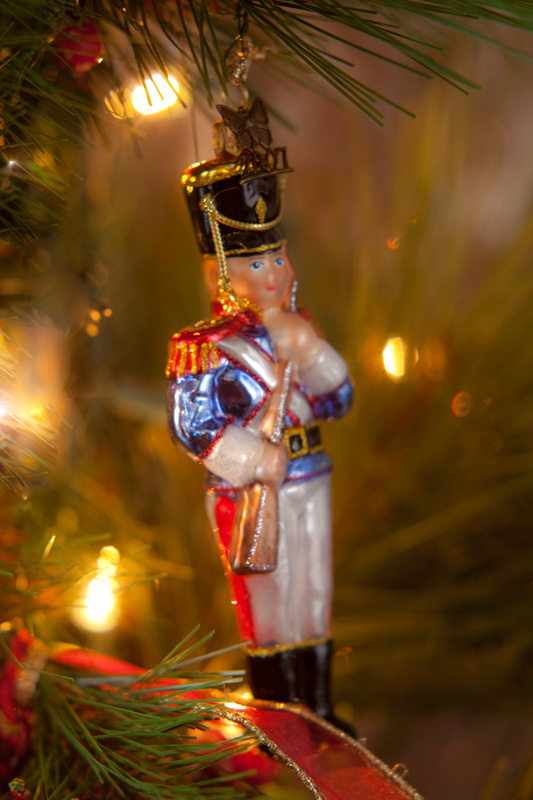 Mementos from trips make your tree a form of travelogue. 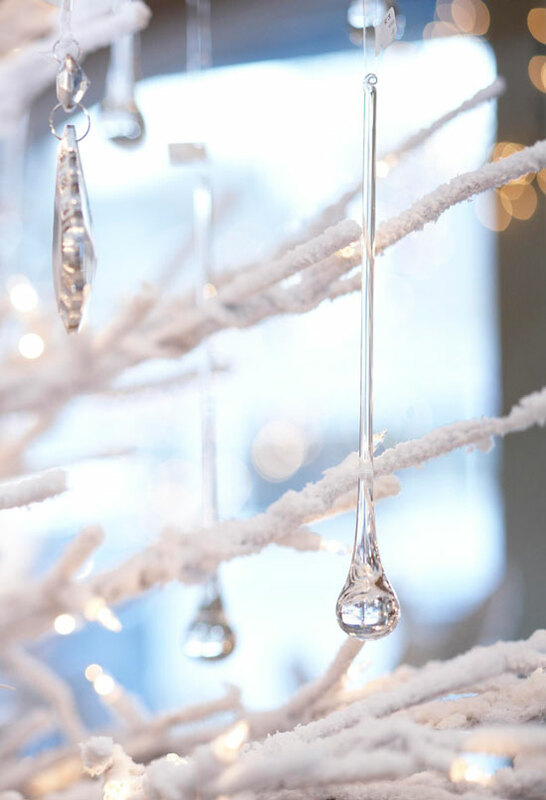 Delicate glass droplets mimic icicles on a frosted tree. 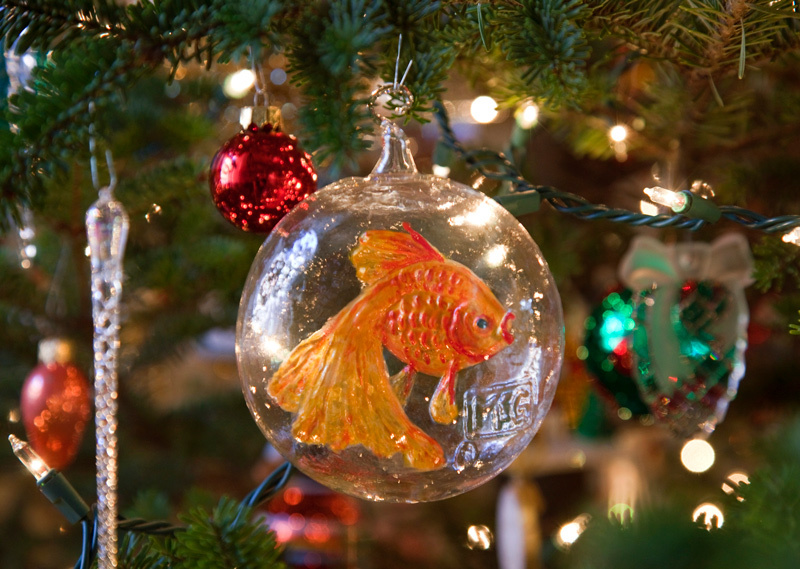 A whimsical goldfish ornament masquerades as a traditional glass ball. 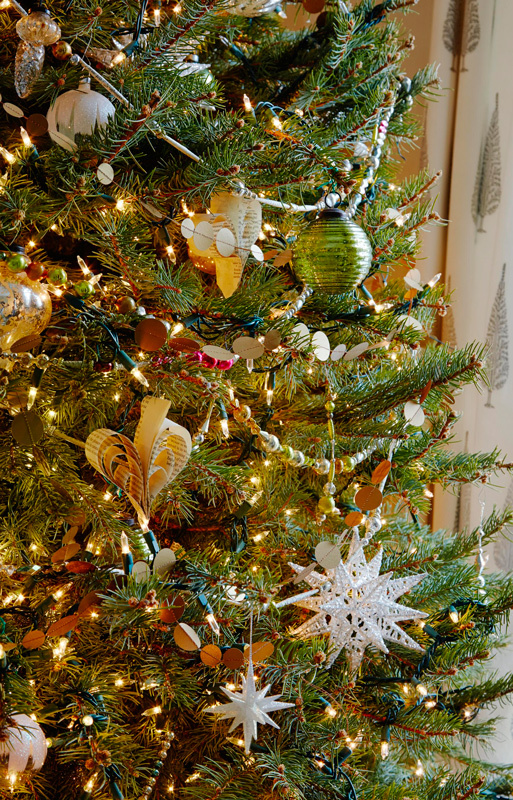 “Johnny wants a pair of skates, Suzy wants a sled.” Pay tribute to your children’s interests by adding ornaments that represent their pastimes to your tree. 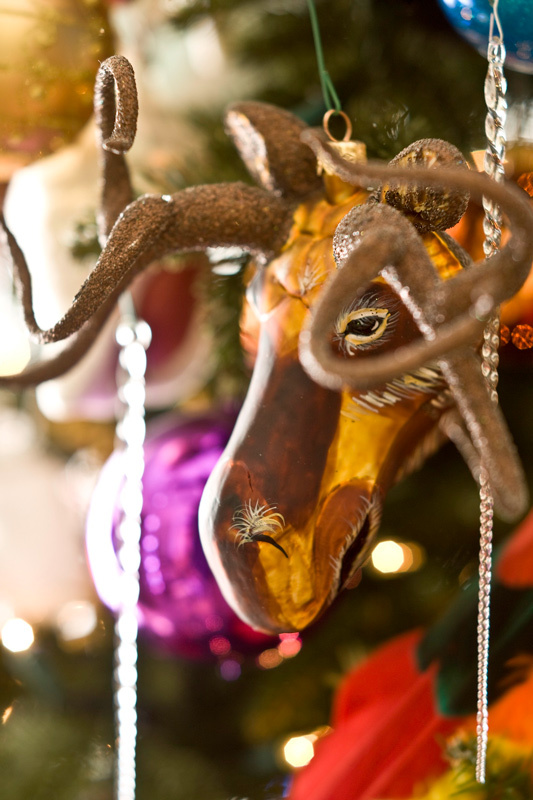 Peeking out from a well-trimmed tree is this lovely moose! 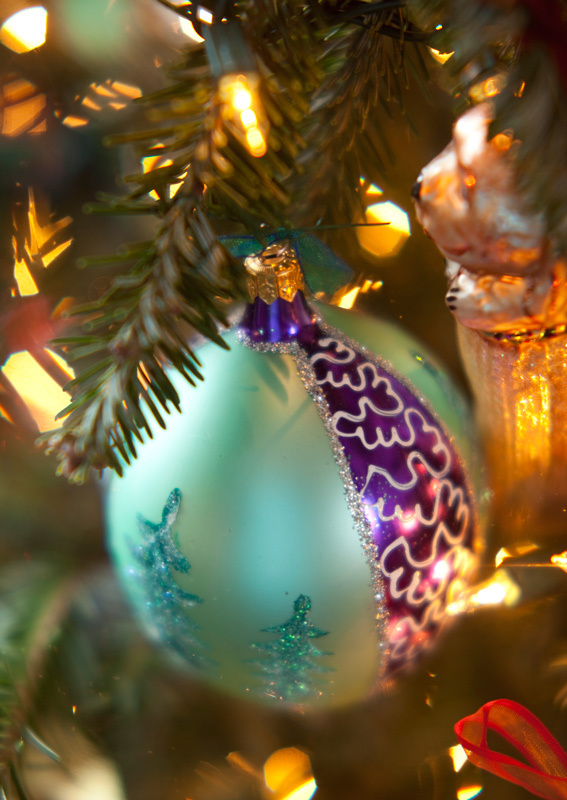 See more of Christopher Hyland’s colorful tree here. 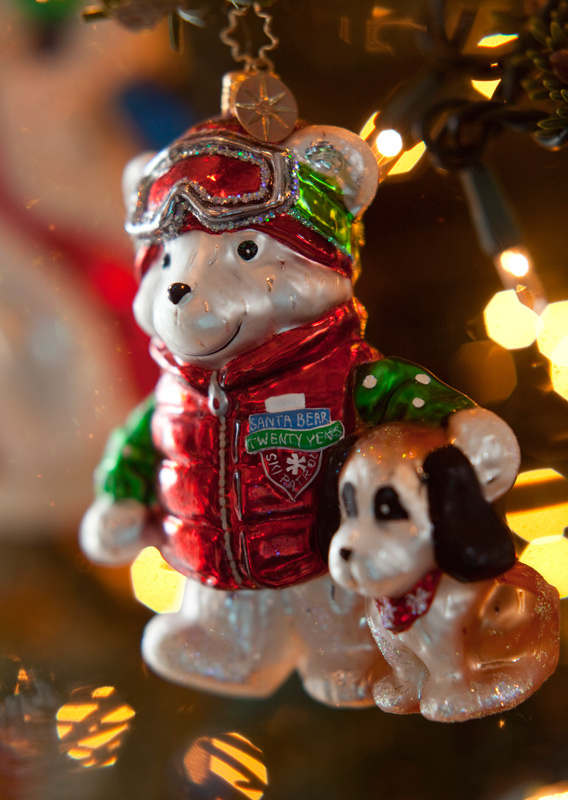 Who says ornaments have to be hung? 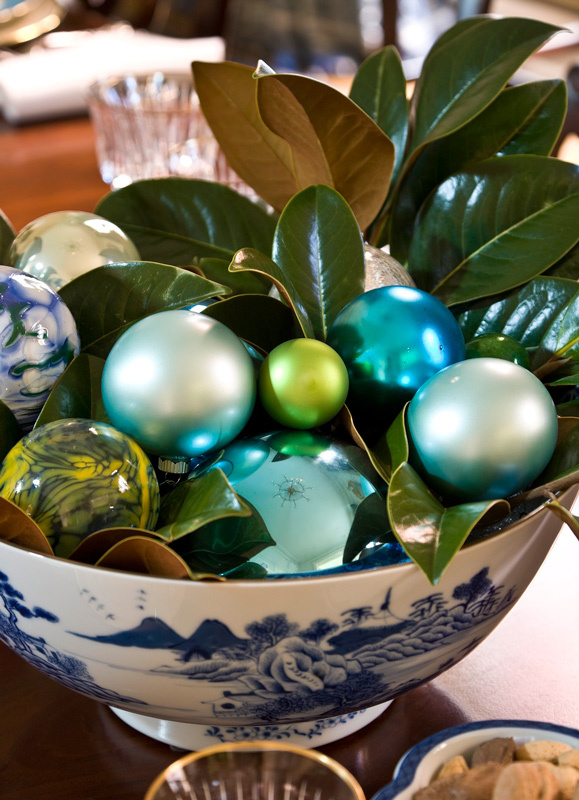 A bowl filled with colorful glass balls makes a fun, festive centerpiece. 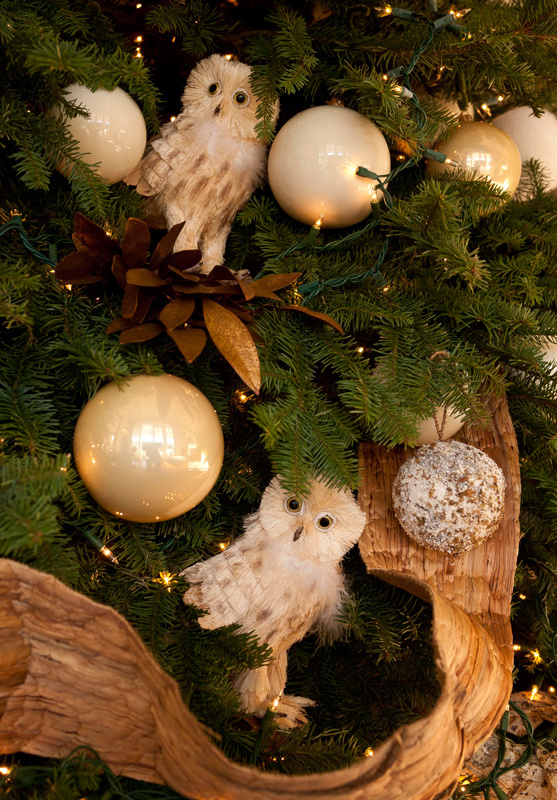 Weaving feathers into your tree adds an unexpected element. 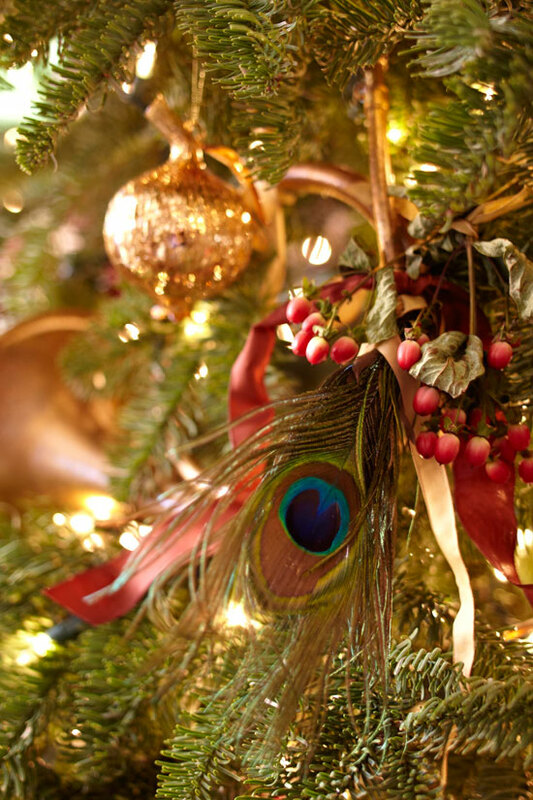 Colorful peacock feathers lend exotic charm when placed subtly among this tree’s branches. 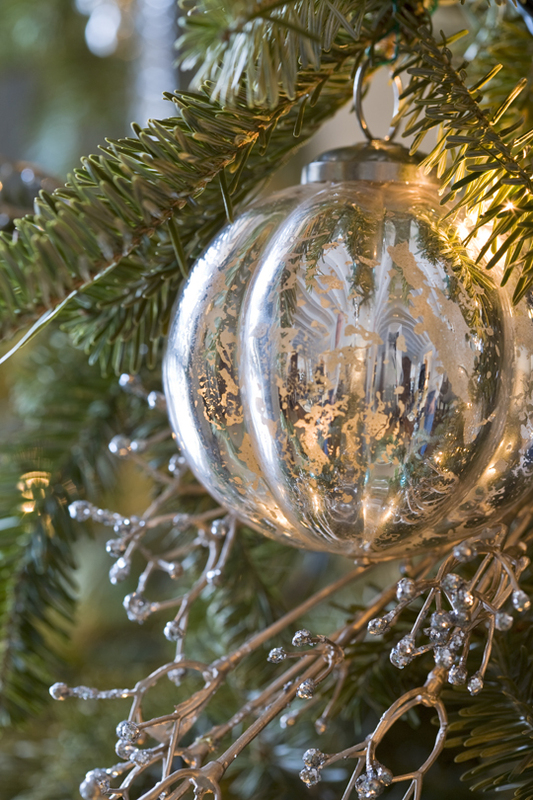 White lights allow the glittering ornaments to shine, and the feathers’ blue eyes make the crimson and gold pop. 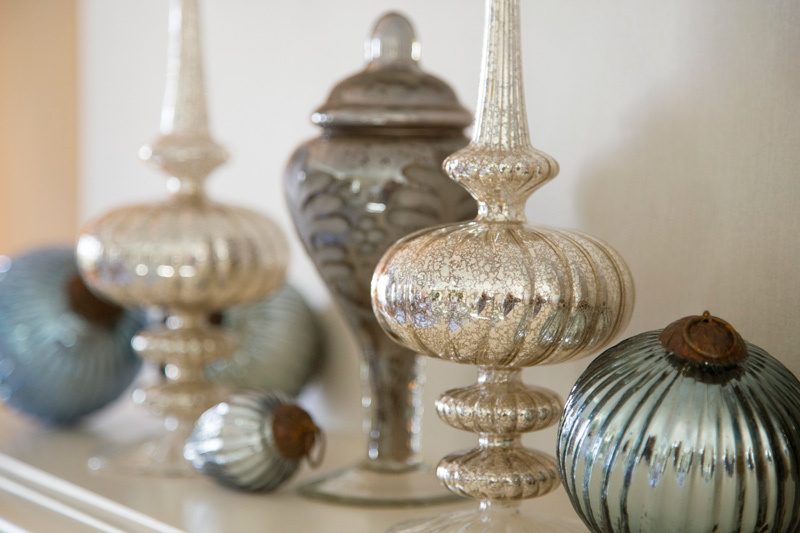 Ornaments in classic Christmas colors sparkle with a little glitter. 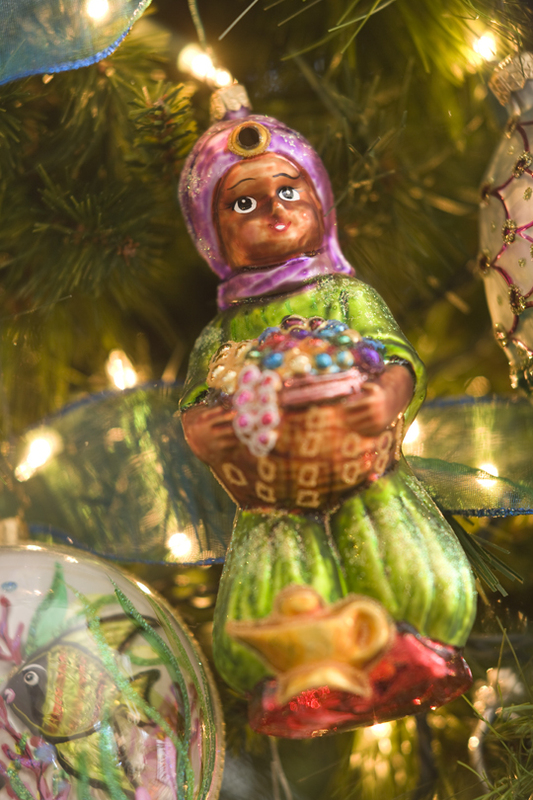 From afar, this ornament reads like any other, but a closer inspection reveals delightful details. 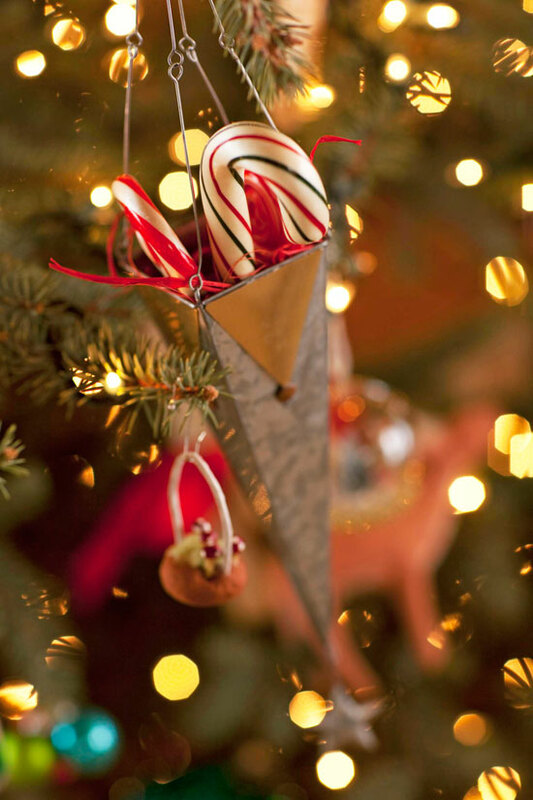 Candy canes hung in tin cones give a nostalgic touch. 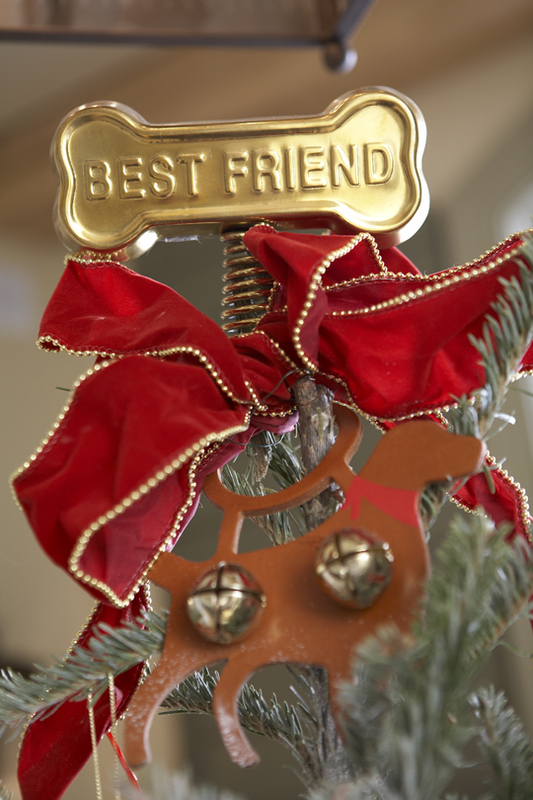 Affix ornaments with a ribbon instead of a hook for a full, festive, and colorful look. 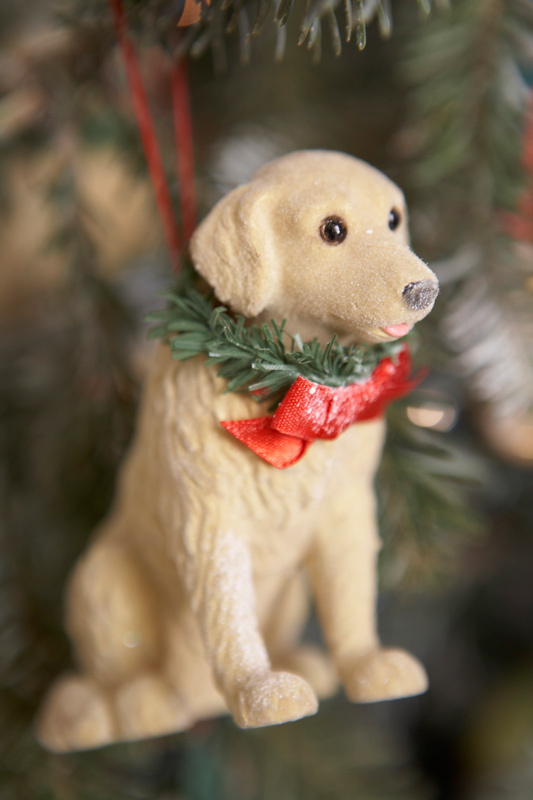 Trim the tree with ornaments for every family member, including a tribute to your favorite pooch. 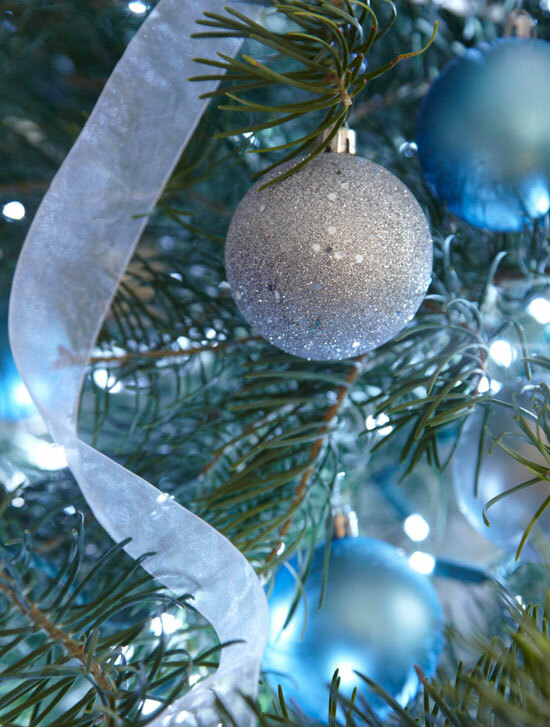 Glittering silver orbs shine among the blue-bathed branches; silver ribbon winds through the tree. 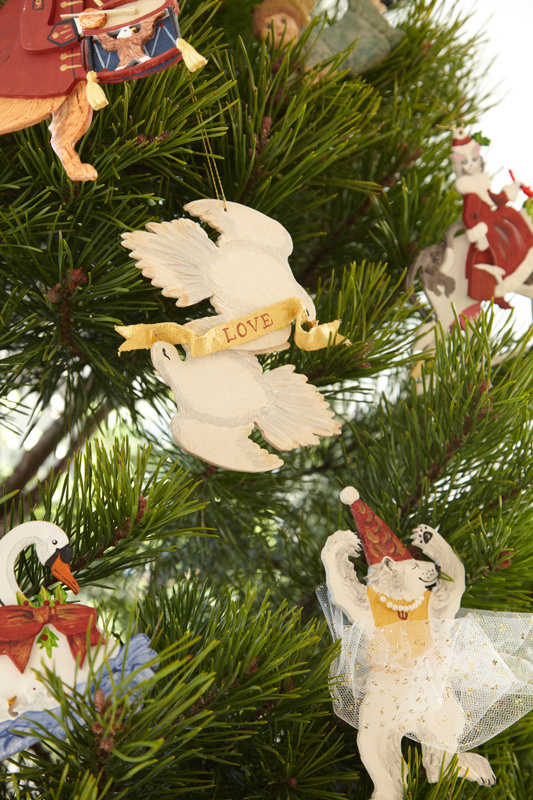 Happy animals frolic on this Christmas tree. 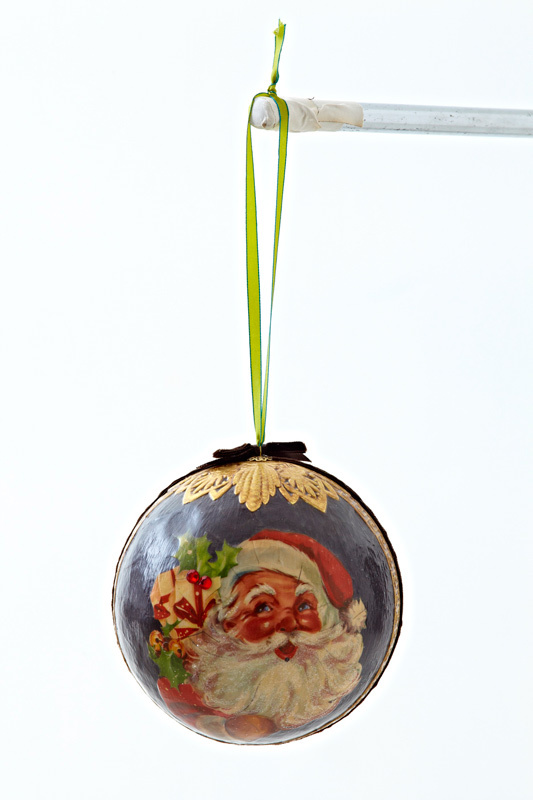 Handmade ornaments carry special sentiment, like this one-of-a-kind bauble by designer Benjamin Bradley. 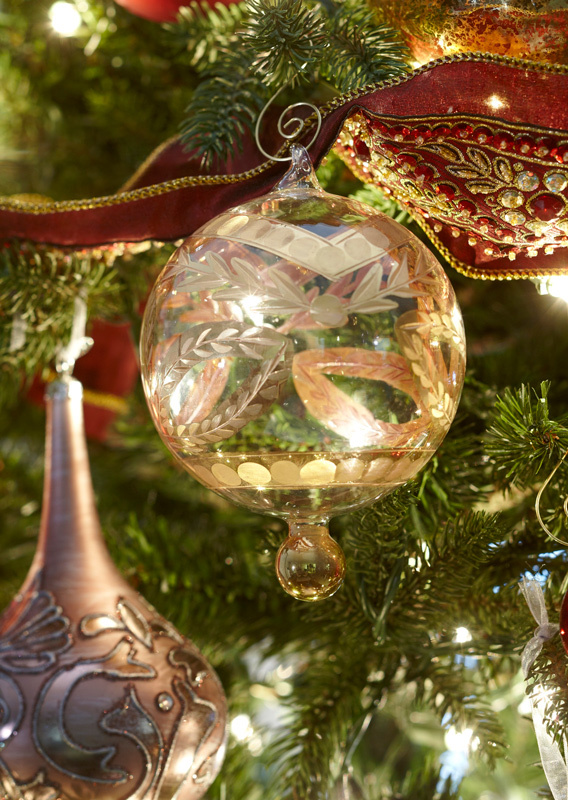 This clear glass ball with gold details is taken to another level when lit up with tree lights. 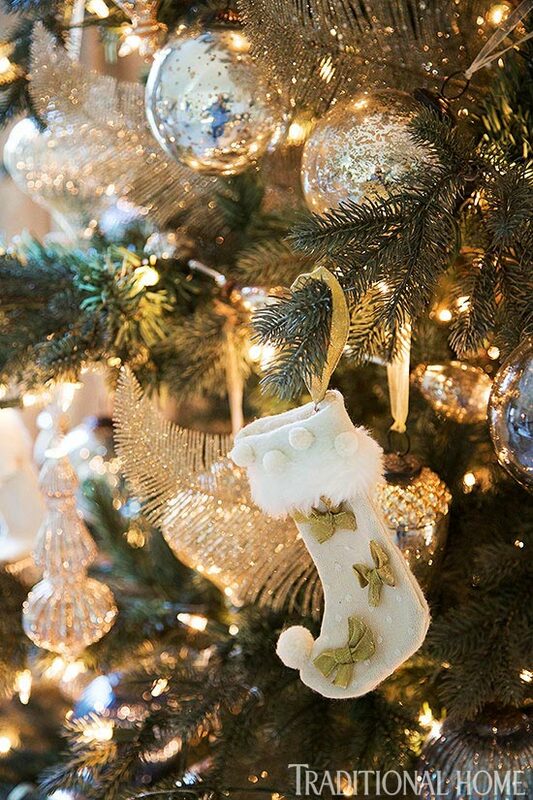 Another great use for pretty ornaments is as a festive mantel display. 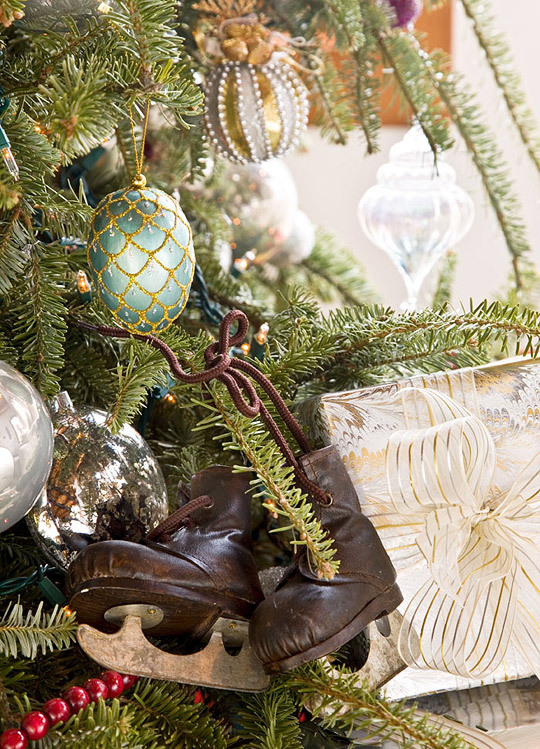 Mercury glass ornaments and garlands mix with ornaments made from newspaper to maintain a relatively neutral palette on the Christmas tree. Whoo has been naughty? 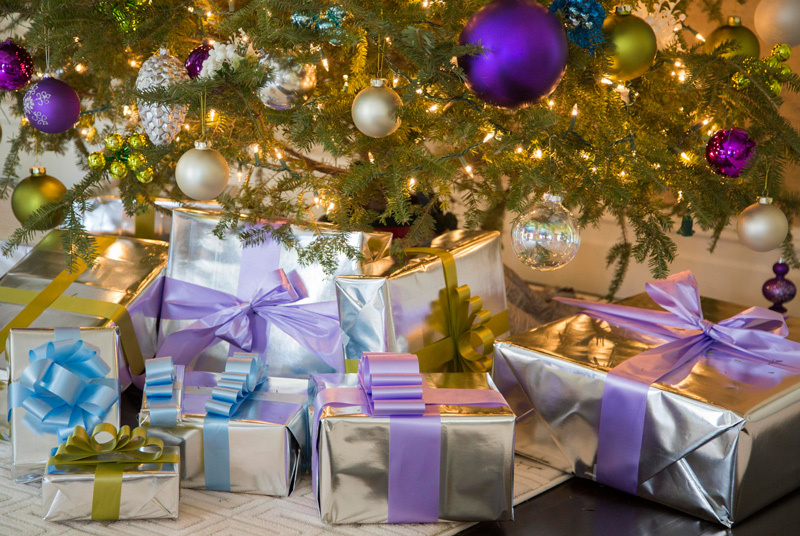 Whoo has been nice? 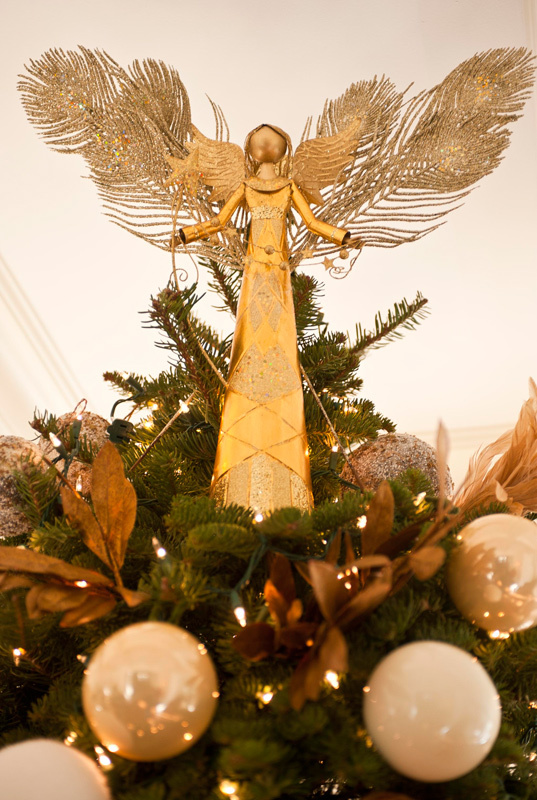 Lovely wings made from feathers complete the look of this tree-topping angel. 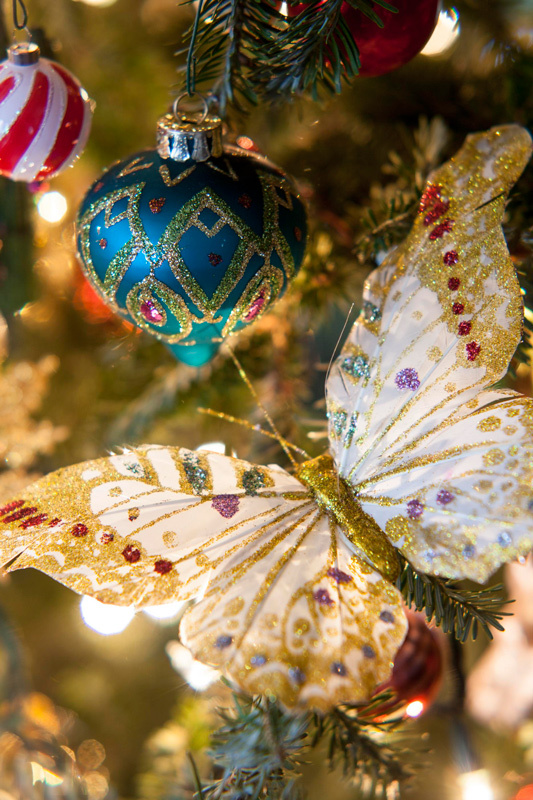 A gracious Christmas tree allows for an abundance of sparkling ornaments, like this colorful butterfly. 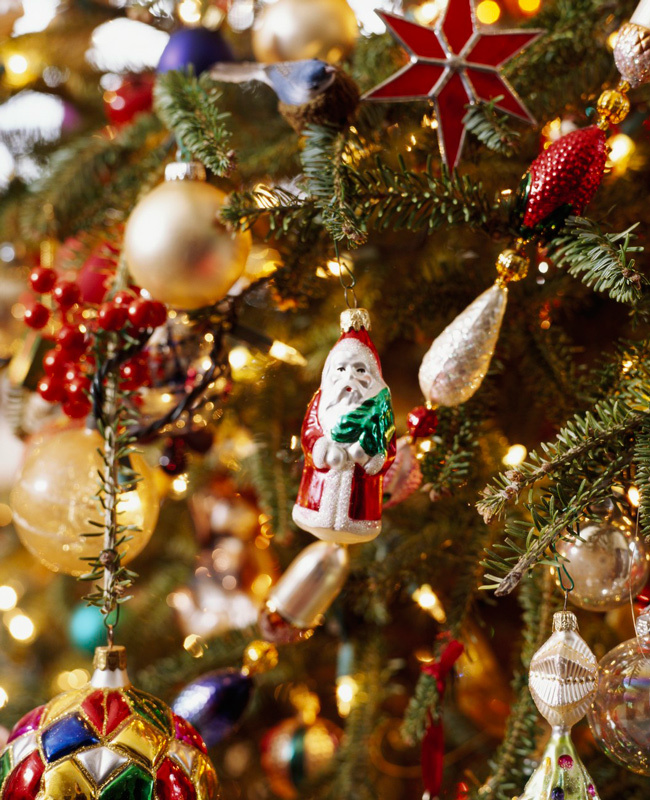 A mixture of ornaments in varying colors, shapes and textures dangle on the branches of the tree.